Chop the almonds, and in a dry sauté pan, toast them on medium heat until golden brown, about 5 minutes. Set aside. In a large sauté pan or skillet, heat the oil until hot over medium-high heat. Add onions (cut side down), lemon juice and zest, salt, and pepper and sauté, turning them over when they are browned, about 5 minutes each side. Add the white wine, and cook until the onions are tender and lightly browned and liquid is evaporated, about another 5 minutes. 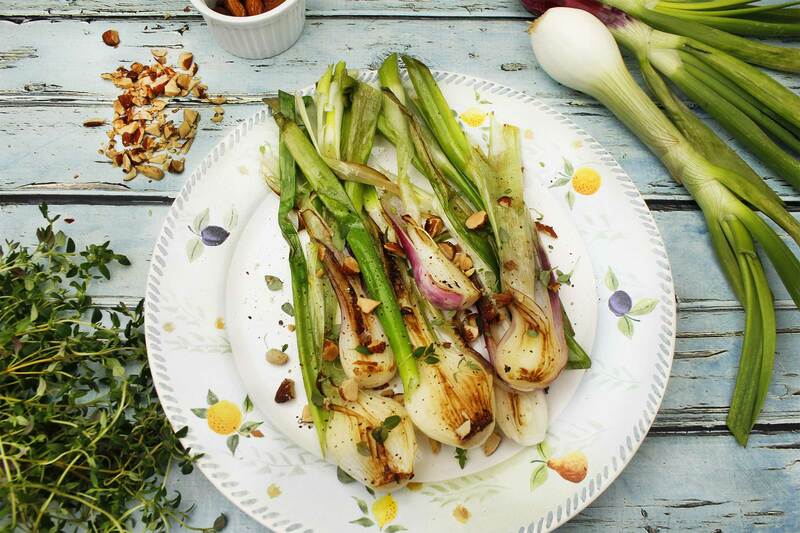 Place the onions on a serving dish, sprinkle with the toasted almonds, cracked pepper and the fresh thyme.